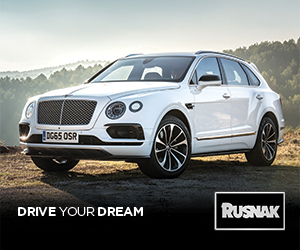 The DREAMS Auto Issue takes readers on a ride that showcases today’s leading brands, influencers, and leaders of the automotive industry. Gracing our front cover is a legend of the automotive world, Paul Rusnak – a man who built a business and reputation that today, helps determine what brands and vehicles are driven in Southern California. 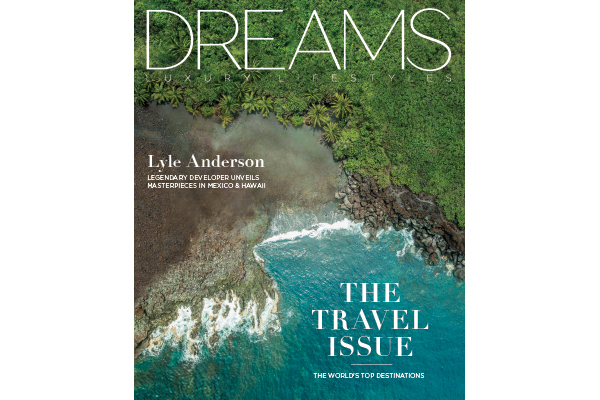 The DREAMS Travel Issue takes readers on a journey to the top resorts and destinations around the world in a global tour-de-force you can’t miss. The People Issue plays host to the inspiring entrepreneurs and executives who embody what DREAMS is about. On our cover is Paul Scialla, Founder and CEO of Delos, a leading international real estate wellness company that’s completely changing the way we live. 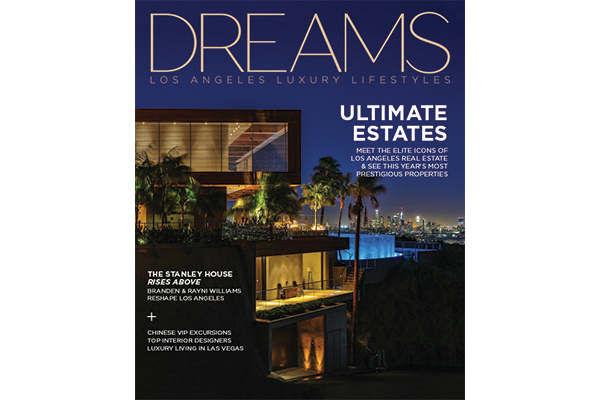 Our Ultimate Estates issue displays some of the finest real estate Los Angeles and Las Vegas have to offer. 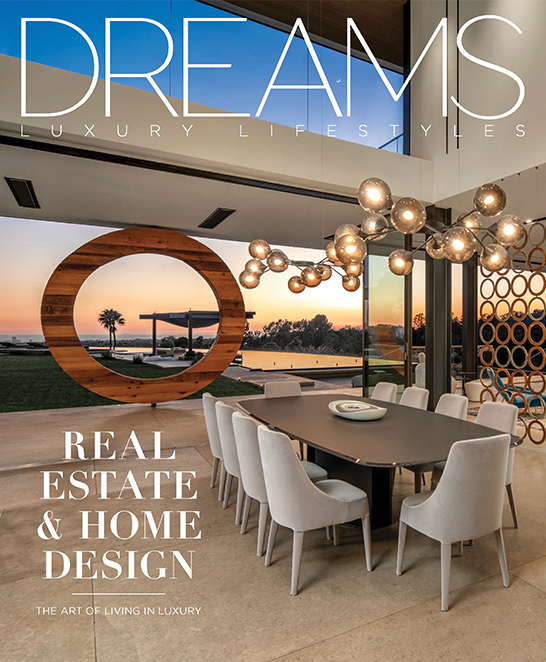 Gracing our cover is the renowned Stanley House, a property developed and listed by megastars Branden and Rayni Williams, who we sit down with for an in-depth interview. We’re also joined by other legendary brokers and agents of the world-class real estate who share with readers their journeys and experiences selling best-in-class properties. The great Pacific Rim Region has evolved to form one giant DREAMS Region with Los Angeles and Las Vegas forming a new global frontier. 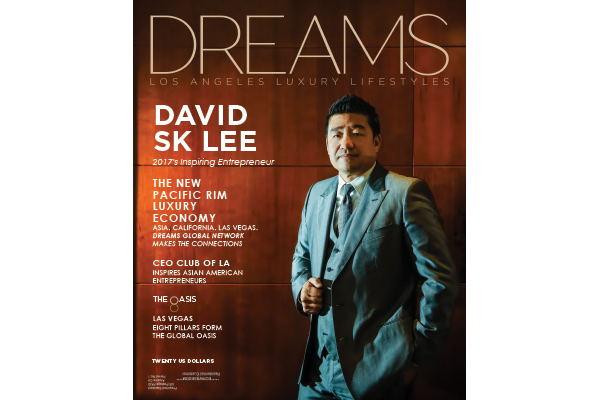 In this issue, you'll read about the new East Meets West, you will meet front cover star David Sk Lee and get to know the man behind all of the extraordinary success, and much more. Let us take you on a journey around the world as we explore the finest five-star resorts. 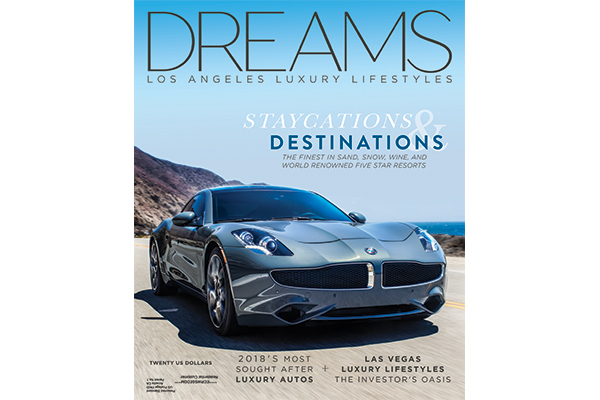 From the tropical islands of Fiji to the white sands of Mexico; rugged mountain getaways to incredible staycations right here in our own backyard, this issue of LA Dreams will guide your travel plans. Also see 2018’s most sought after luxury vehicles, remarkable estates, and the new Desert Oasis. 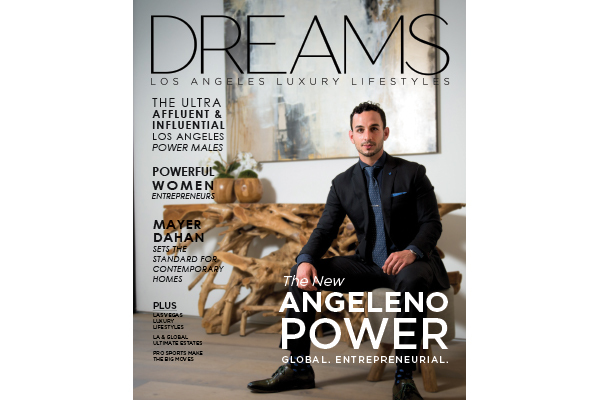 The New Angeleno Power - Take a look inside the latest issue of LA Dreams, with exclusive interviews and features of LA's Top Influencers and Entrepreneurs. Also within is our special report on the 4 Affluent and Influential Male Segments of Los Angeles, LA & Global Ultimate Estates and Las Vegas Luxury Lifestyles! 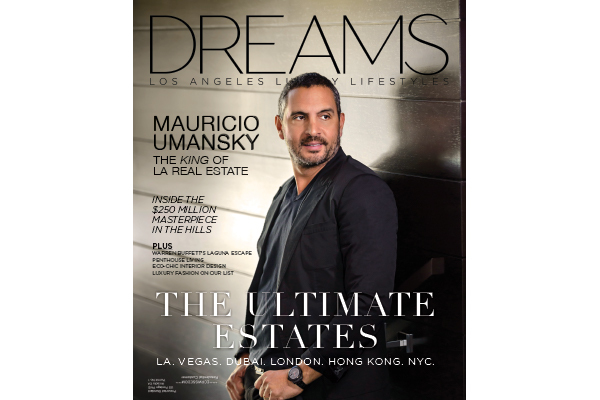 The Ultimate Estates - Take a look inside this Issue of LA Dreams, featuring cover star Mauricio Umansky, as we showcase some of the top luxury real estate in the world.